Bouzouki counts already 80 years of existence, starting in 1933 when it was recorded for the first time in Greece until now. Beginning from Rembetiko, it went through many phases and each one of them has its particular characteristics. The main criteria that someone can divide those sub-periods are two. 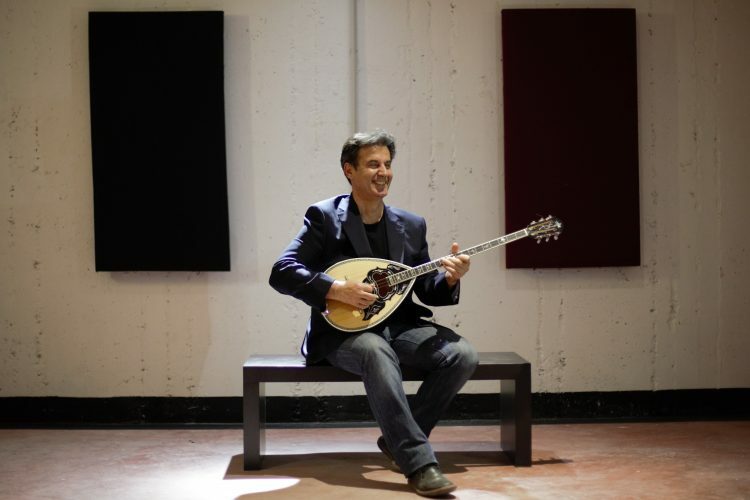 The first criterion has to do with the way that bouzouki was played in each period and the second criterion is its promotion through Greek folk song. Greek folk song was, if not the only, undoubtedly the major medium that bouzouki was spread and thus it influenced its evolution greatly. Having these two criteria in mind, easily can someone distinguish the period that bouzouki was at its peak in the first 4 decades and then the undercut of its role in Greek folk music from the end of 60’s and 70’s until today. The fact that during the first decades bouzouki obtained a very strong part regarding the Greek folk song was the outcome of some particular factors that played a crucial role. The most important of them is that Rembetiko and Folk song until just before the 60’s was written only by bouzouki players, Vamvakaris, Tsitsanis, Chiotis, Papaioannou, and other musicians that hold at the same time the role of composer. These soloists apart from writing the songs they did, had as their main goal to promote bouzouki. They succeeded that through their exceptionally expressive style they were performing and also by taximis, the improvisation parts that were included in the songs, the particularly interesting intros as parts of the songs, by the instrumentals they composed and by the leading role they offered to bouzouki in their orchestrations and recordings. From that time on and in particular from the mid 1960’s the bond between bouzouki and folk song started to differentiate. Folk music was written by composers that were not bouzouki players any more. Bouzouki players on the other hand became just performers and as a result they did not manage the instrument’s parts in folk songs any more. In this particular period of transformation, the one of the artistic folk song of Theodorakis, Hatzidakis, and Xarhakos, bouzouki reached its major recognition. These composers apart from their deep love for bouzouki, they cooperated with all major players of bouzouki and they placed it in their orchestras in a special position . On the other hand bouzouki starred in their songs and it become involved into a completely new music environment, that of music into poetry. Inevitably folk song had already started to change from one decade to the other. Two major trends were formed regarding bouzouki. In the first one bouzouki is participating in the commercial and of little artistic value song and in the second we find bouzouki starring in artistic folk song that also was the highway for inspired composers-song writers and great songs. Actually, someone can notice that folk song became to a certain extend until today a kind of artistic song that does not involve bouzouki really. This fact raises the question of whether folk song still exists and what is folk song after all. In my opinion if we believe that the old folk song of 1940’s and 1950’s where bouzouki starred is the real folk song , then this thing does not exist anymore. However, if someone means that folk song is the one that the public widely enjoys and accepts then yes, there still is and always will be such. The most important remark that most can make is that folk song has changed- modernized to whichever direction interesting or not and that the symbol of Greek music-bouzouki- is not included in that evolution having lost the medium to be promoted which of course was the folk song itself. Since Theodorakis and Hatzidakis, bouzouki has become famous also abroad, it has been loved and has identified Greek folk music. Probably the latter, the fact that bouzouki is the national folk instrument should be set in the understanding of those that manage culture in Greece. That means that the State must support and promote our national folk instrument by founding an Academy where bouzouki can be taught in an organized way, like so many countries do regarding their national instruments. This venture cannot succeed when it is derived by people-musicians that act on their own, no matter their good intention. On the other hand apart from the teaching that I have already referred to the critical element is the medium through which bouzouki will again emerge. That medium could be instrumental music and probably not songs, or it could be a different kind of music not relevant with bouzouki. In other words the new role of bouzouki should not be searched among old stereotypes. It is absolutely necessary to have new, brave, intriguing ideas and suggestions. That was exactly what regarding to folk music all pioneers from Vamvakaris, Tsitsanis, Chiotis to Theodorakis and Hatzidakis did ……..